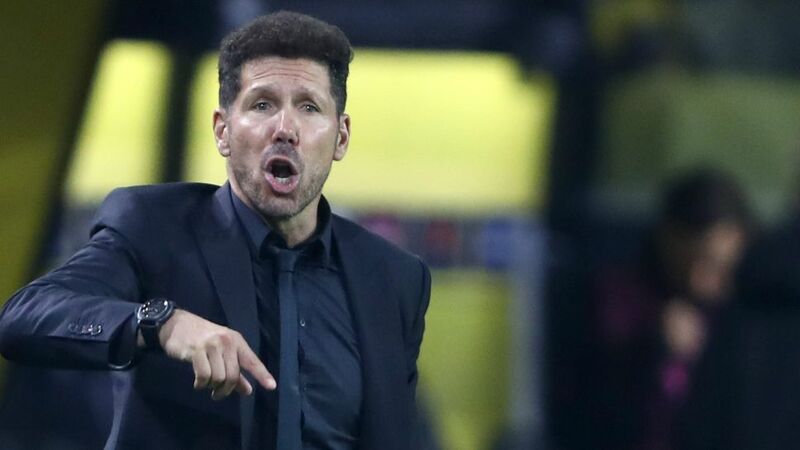 Atletico Madrid head coach Diego Simeone was full of praise for Borussia Dortmund after Lucien Favre's side recorded an astonishing 4-0 victory over the Spaniards to go three points clear at the top of UEFA Champions League Group A on Wednesday. "They were superior," said the Argentine, who suffered his heaviest defeat in charge of Atletico in 391 competitive matches since taking charge of the club in 2011. "I have to congratulate Dortmund. I loved the way they played. They were strong, quick, precise and had a clear objective […] Dortmund had a great game." "I hope they keep playing like this because it's so beautiful to watch," Simeone continued. "We can comment on the final score, but the result is so heavy that it doesn't make sense to find an explanation." Axel Witsel's deflected shot in the first half paved the way for the triumph, but it was Dortmund's display in the second 45 minutes that blew their visitors away. Substitute Raphael Guerreiro finished off a sweeping team move to make it 2-0, before late strikes from Jadon Sancho and another from Guerreiro sealed a win that made the rest of the continent sit up and take notice. Indeed, former Dortmund boss and current Liverpool head coach Jürgen Klopp had his head turned by result – despite his side recording a 4-0 victory of their own at the same time over Red Star Belgrade: "No disrespect to Red Star and our win, but what Dortmund did against Atletico is unbelievable." Favre's charges go up next against Hertha Berlin on Bundesliga Matchday 9 this weekend and go into the return fixture against Atletico in the Spanish capital on 6 November.